With over 15 years experience in residential kitchen granite countertops in Atlanta and serving the surrounding areas, MC Granite Countertops Warehouse has been operating since 2000 and is well known in the Atlanta area for their customer service and satisfaction. 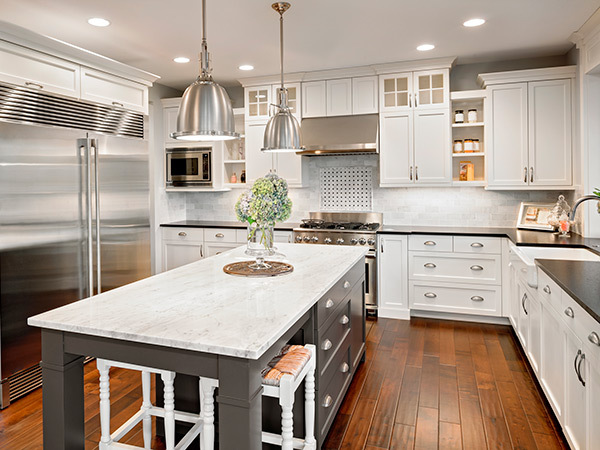 At MC Granite Countertops, we take pride in our incredible record of highly satisfied customers with our fabrication and installation of kitchen countertops in the Atlanta area. If you are thinking about kitchen remodeling in Atlanta contact MC Granite Countertops for all of you granite countertops needs. You won’t regret your decision! One of the most challenging decisions you will have when working on kitchen remodeling in Atlanta and the surrounding areas is deciding what granite color will be perfect for your kitchen countertops but will also fit into your budget. Request a quote or contact us today to find out more about MC Granite Countertops and for help finding your new kitchen countertop!